Looking for inexpensive shelving in your nursery? Take a look at this bookshelf made from an IKEA spice rack. 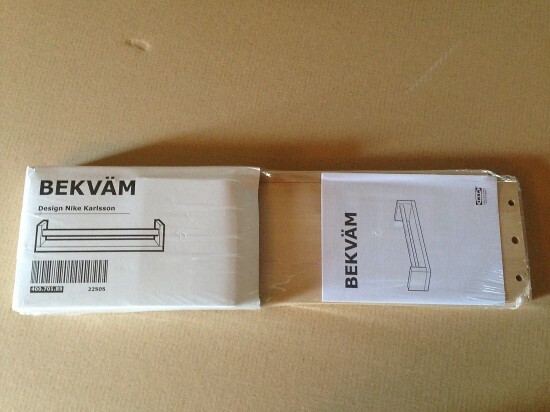 I, originally, saw this brilliant idea at Ikea Hackers and had to try it for myself. Check out my results!